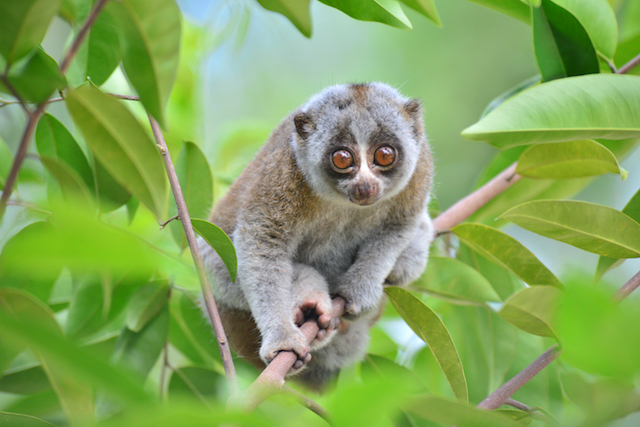 Slow lorises are the most endangered primate in Southeast Asia. Unfortunately, these animals are often captured and sold illegally into the wildlife trade, ending up as pets in far-off lands like Russia or Japan. Mary Blair, a scientist at the American Museum of Natural History, is working with colleagues in Vietnam to create a database of slow loris DNA that they can use to track the illegal trade of these animals. The scientists can even use the database to make sure rescued animals are returned to their homes. Learn more about how it works in this video for Scienceline.